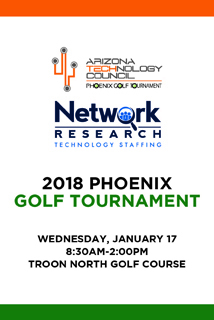 Join the business and technology community at beautiful Troon North Golf Club in Scottsdale for the Arizona Technology Council’s ninth annual Phoenix Golf Tournament to be held on Wednesday, January 17. This scramble format tournament brings industry leaders and technologists together for a day of networking and sportsmanship. This year’s event will take place on the Pinnacle Golf Course. This is a great opportunity to play one of Arizona’s best courses at half the price during prime golf season. Each registration includes a sleeve of golf balls and lunch. Register now as the 2017 Tournament sold out with over 125 golfers attending. The tournament will be followed by lunch, raffle prizes and awards presentation. 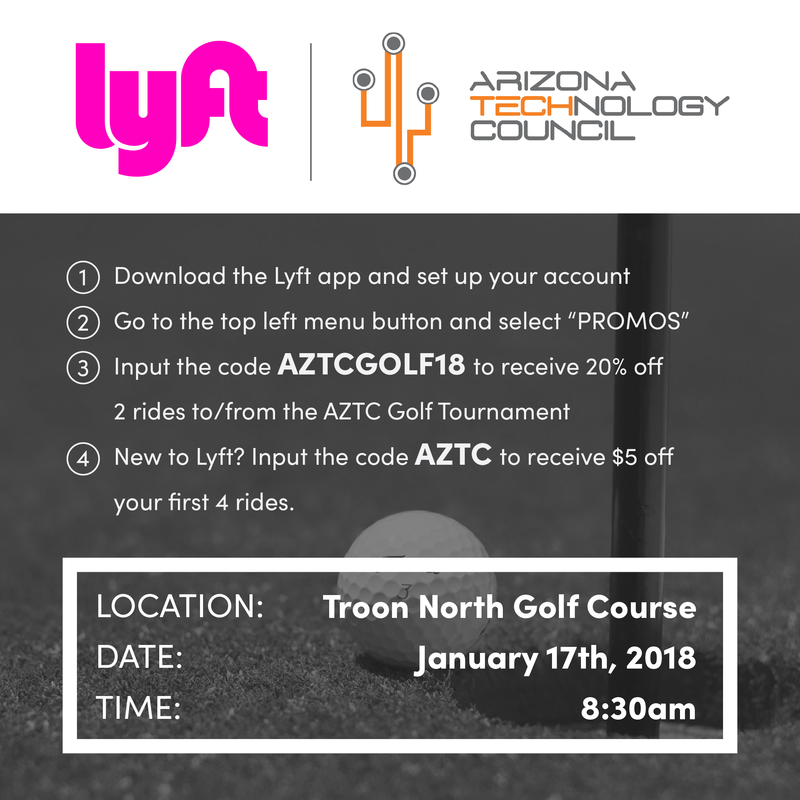 Align your company with this event to develop qualified leads and strengthen relationships with the Arizona technology community. 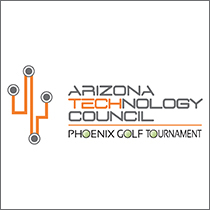 For sponsorship information please email events@aztechcouncil.org. Sponsorships range from $400 – $3,500. There will be adult beverages available during the golf tournament! lyft has generously offered a discount code for both new and existing users.